Marvel Tsum Tsum Game News! Doctor Strange Event now live and Venom available for battle! 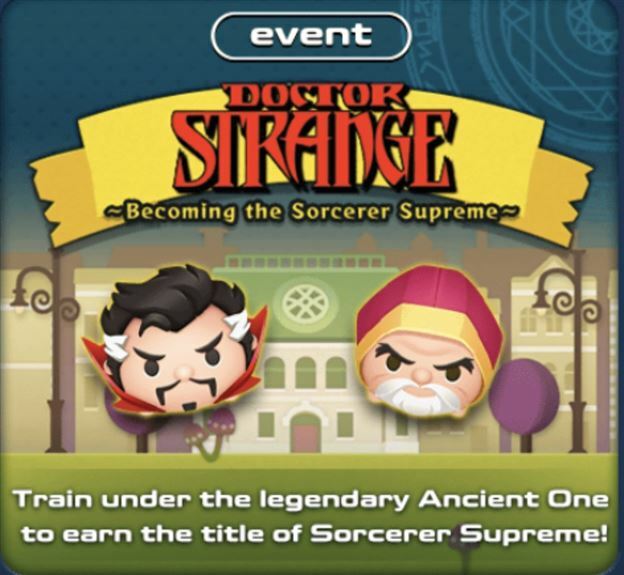 The Doctor Strange event in the Marvel Tsum Tsum mobile game has arrived! Venom is also now available for battle! Marvel Tsum Tsum Game News! 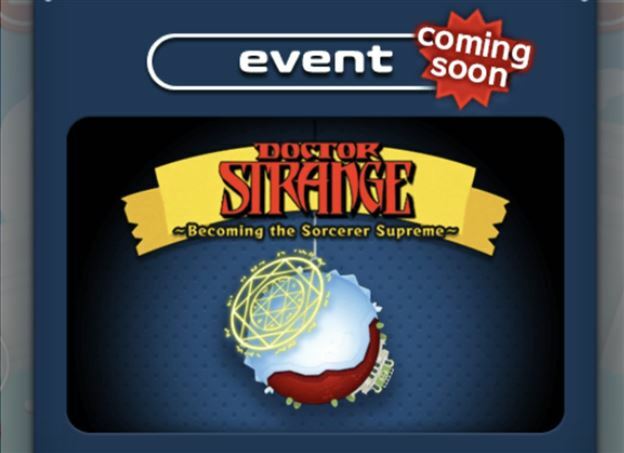 Doctor Strange and Ancient One coming to Orb box tomorrow and event to follow on Wednesday! 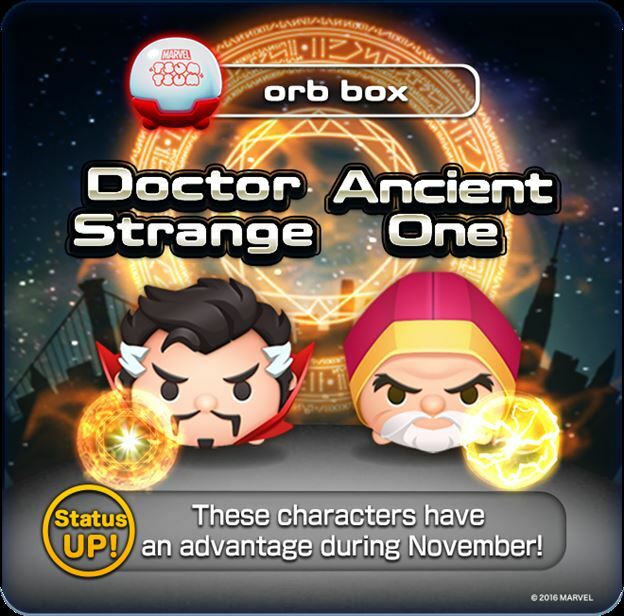 Doctor Strange and Ancient One will be added to the Orb box once maintenance is completed tonight and the Doctor Strange Event will start on Wednesday! Marvel Tsum Tsum Game News! Doctor Strange Event and Venom Battle Coming Soon! The Marvel Tsum Tsum Game has announced that a Doctor Strange Event is coming soon! Also Venom will soon be available to battle! Tsum Tsum Plush News! 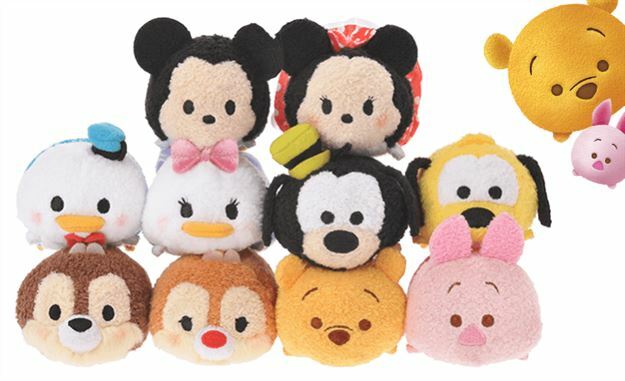 Japanese Disney Store releases new set of Mickey and Friends Tsum Tsums! Today the Japanese Disney Store made a surprise release of a new set of Mickey and Friends Tsum Tsums! Tsum Tsum Plush News! 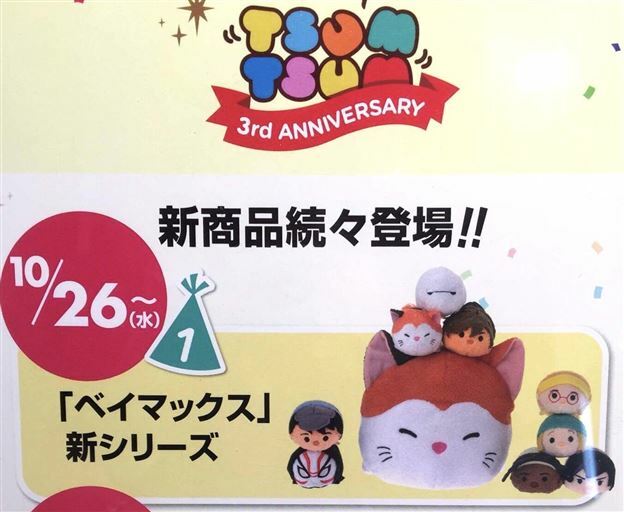 The Rescuers Tsum Tsums coming to the Japanese Disney Store next month! On top of all the other upcoming Tsum Tsums from the Japanese Disney Store they have also announced Bernard and Bianca will be released November 1st as well! Tsum Tsum Plush News! Moana Tsum Tsums coming November 1st! 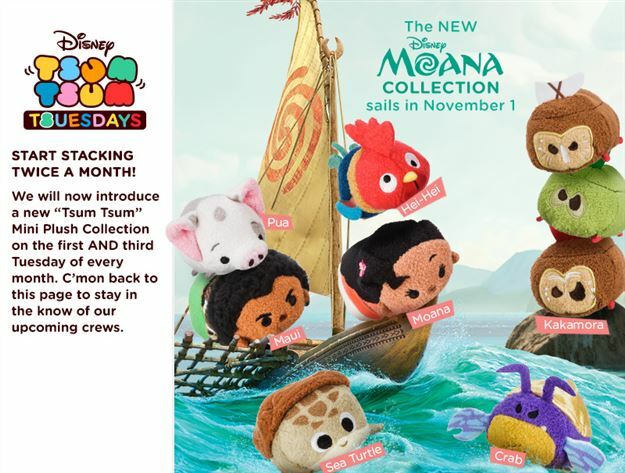 In addition to the Christmas Tsums, the Moana Tsum Tsum Collection will be released by the Disney Store for the 1st Tsum Tsum Tuesday in November! Star Wars: Attack of the Clones Tsum Tsums released! Today is one of the best days of the month... Tsum Tsum Tuesday! 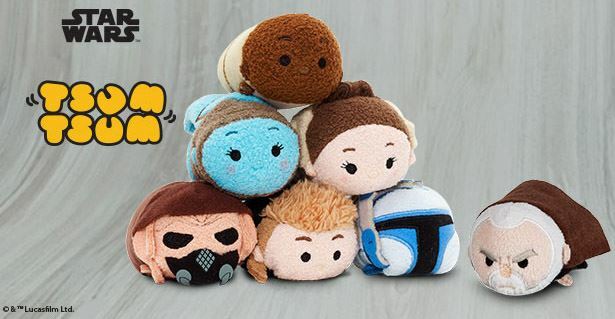 This week the Disney Store has released Star Wars Episode II: Attack of the Clones Tsum Tsums! Tsum Tsum Plush News! Christmas Tsum Tsums coming in two weeks! It looks like November is going to be a big Tsum Tsum month with a ton of Christmas Tsum Tsums coming for the first Tsum Tsum Tuesday in November! In a surprise release, four of the upcoming Moana Tsum Tsums have been released by JCPenney! Tsum Tsum Plush News! Japanese Disney Store releasing new Big Hero 6 and Christmas Tsum Tsums! Today the Japanese Disney store released Monster Inc and the 3rd Anniversary Tsum Tsum set. They also previewed two upcoming Tsum Tsum sets: Big Hero 6 and Christmas!